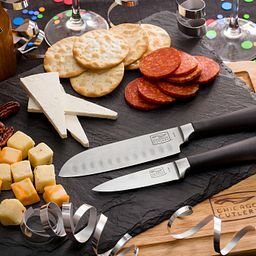 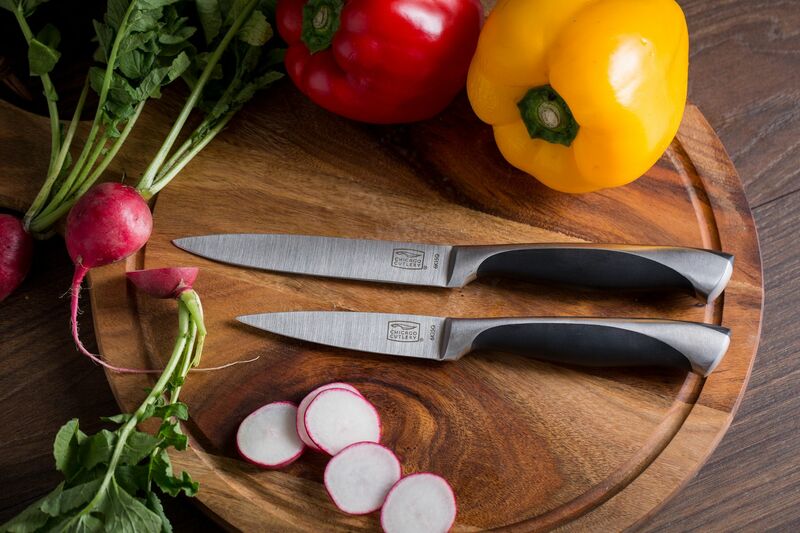 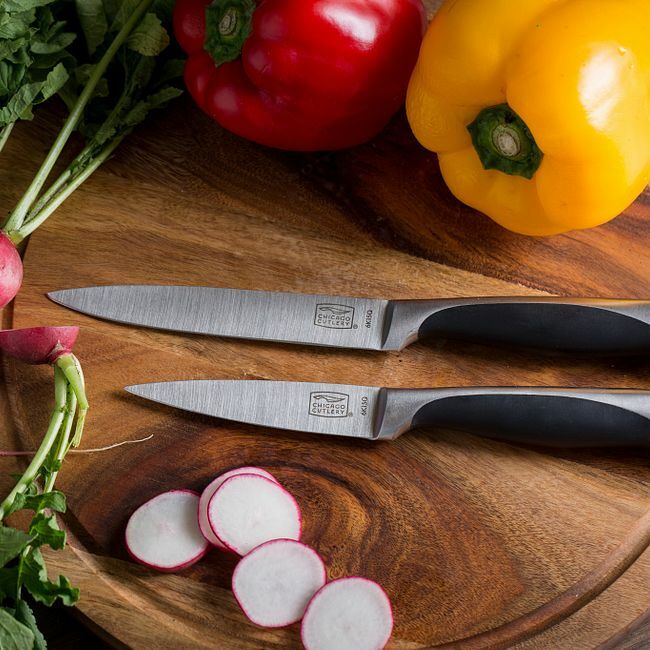 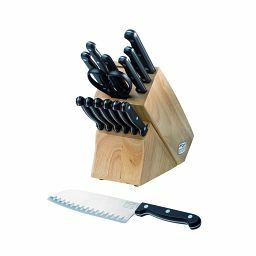 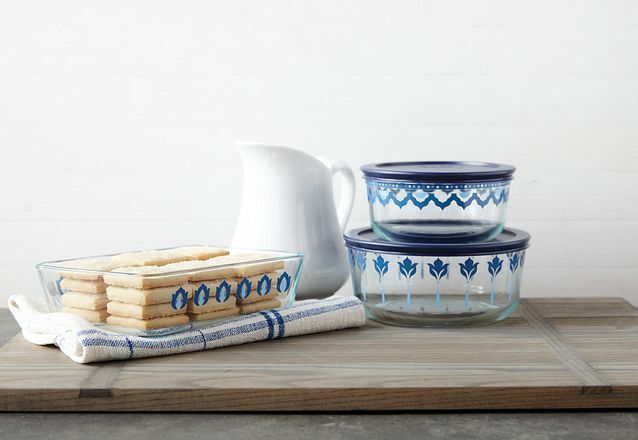 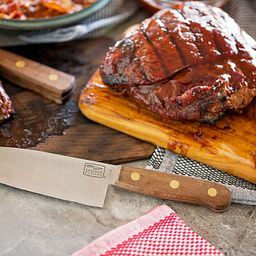 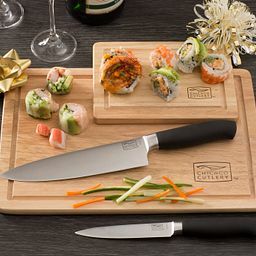 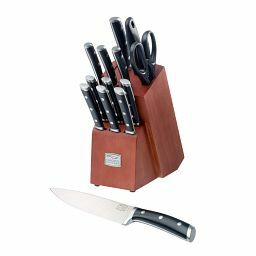 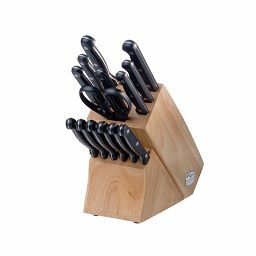 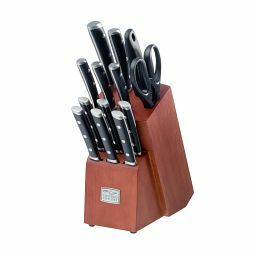 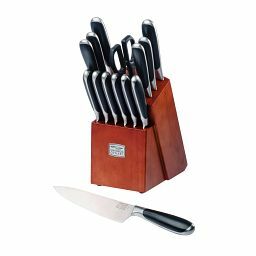 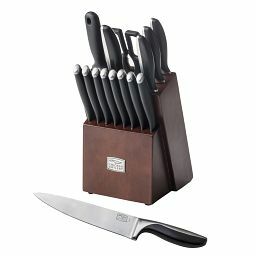 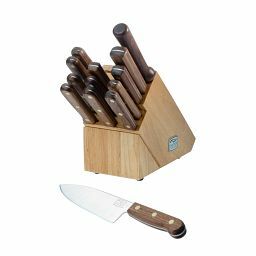 Contoured steel-and-polymer handles refine this knife set’s look, comfort and kitchen capability. 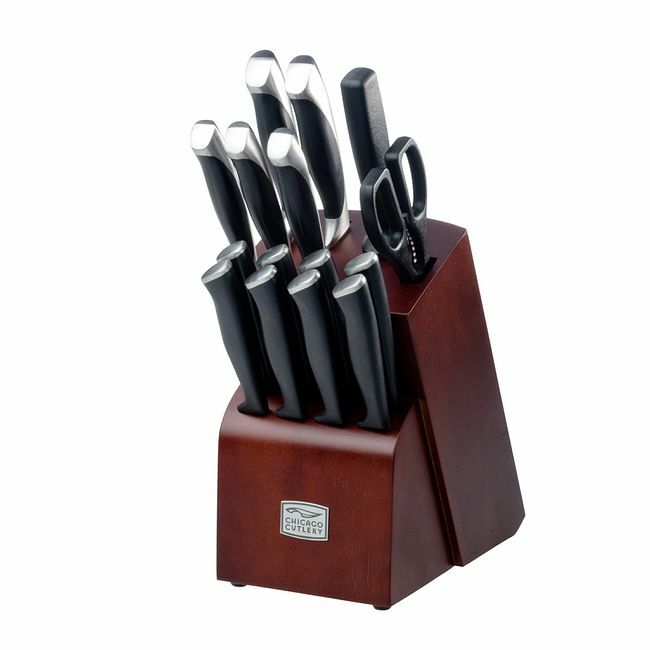 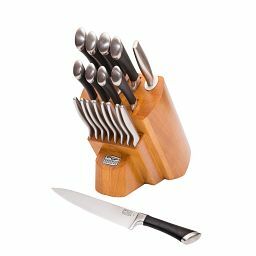 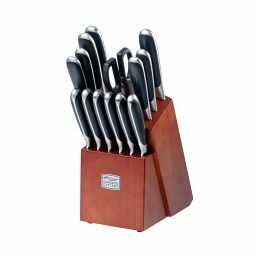 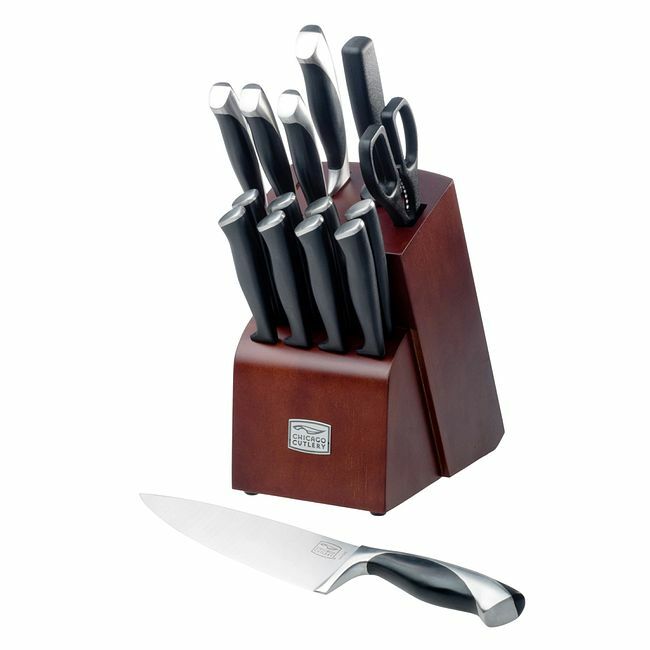 Stainless steel and polymer shape the modern, comfortable curves of this contoured-handle knife set. 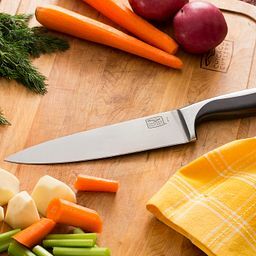 Fitted with high-carbon, stainless-steel blades shaped and sized for everything from chopping and dicing to paring and peeling. 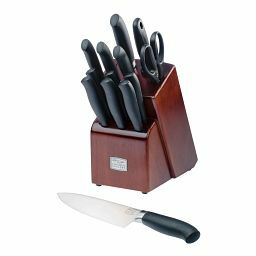 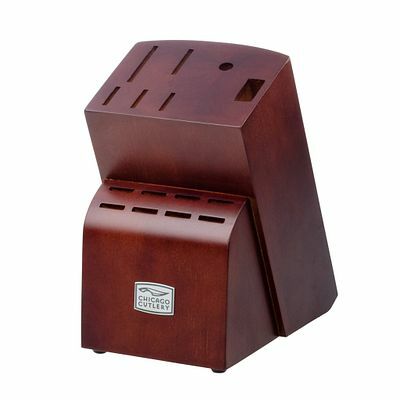 An espresso-stain wood block equips them for safe storage.